While driving back to my boyfriends house from the beach a few weeks ago I spotted a brand new Ulta having a grand opening! I'd gotten my mailer with their $3.50 coupon and had it ready for a spending. I was eager to see what Essence products they had in stock, since Ulta is the only place I've been able to find their products. Unfortunately the selection at this Ulta was very small and didn't have anything too appealing to me. 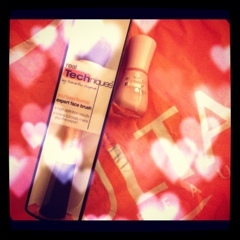 I did pick up an Essence polish called Sweet as Candy. I adore their new polish bottles! 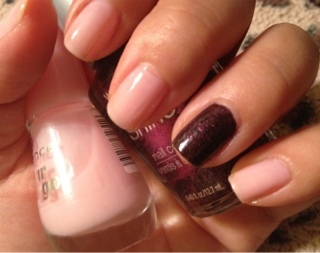 The color is the perfect baby pink- it needed 3 coats, but it dries fairly quickly! 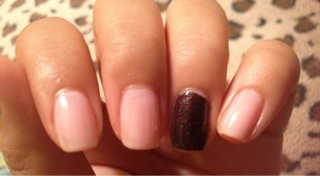 I'm still loving the accent trend- applying a different color on my ring finger nail. 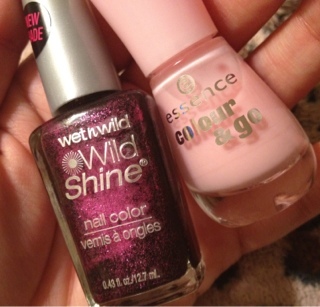 I chose wet'n'wild wild shine #467 for my ring finger, which is a gorgeous black and purple glitter polish. It was hard to capture the glitter in the pictures- but i really like it! I can see myself wearing this a lot during October/Halloween season! My last purchase at Ulta was the Real Techniques Expert brush. I'd read countless reviews about the buffing brush and really wanted to try that for my liquid foundation. That brush is only available in the core collection. I'm pretty much set in the brushes department (I could always use more- but definitely don't need anymore;) and was excited to see that the Expert brush was sold by itself! 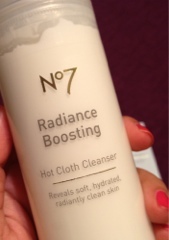 I've only used it once- but like it very much! Will have to give a thorough review after more uses! Hopefully these goodies will keep my budget intact for a while! I agree! I only have 3- my stippling brush has seen better days:/ all the hairs have come loose. 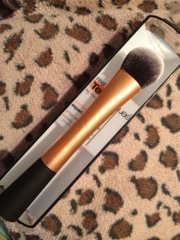 Hoping this one and my blush brush hold up better! I could really do with some new brushes- must try this brand! I'm on a spending hiatus at the moment especially on makeup but I got into that Coterie VIP member thing they had going on and splurged on their polishes (4 for $4 a piece!) then I got an AA coupon in my email and got a good deal on some clothes... now I'm really on a no-spend budget. Really... this time :) So don't worry girl, you are not alone! I heard about Coterie and completely forgot about it! I saw a couple people post on IG about the Butter polishes- wow!! I'm all about coupons, sales and bargains- Not going to lie, was def something I had to get used to:/ Happy to hear I'm not alone! 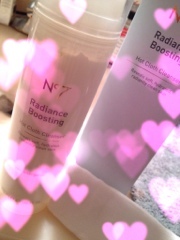 I do like the muslin cloth, but really love my clarisonic=) Def clears up my pores! I'm planning to buy that brush!! I love the other ones...especially the powder and stippling! I love it! I really notice a difference in how my foundation applies and looks so smooth now! Real techniques brushes are the best!